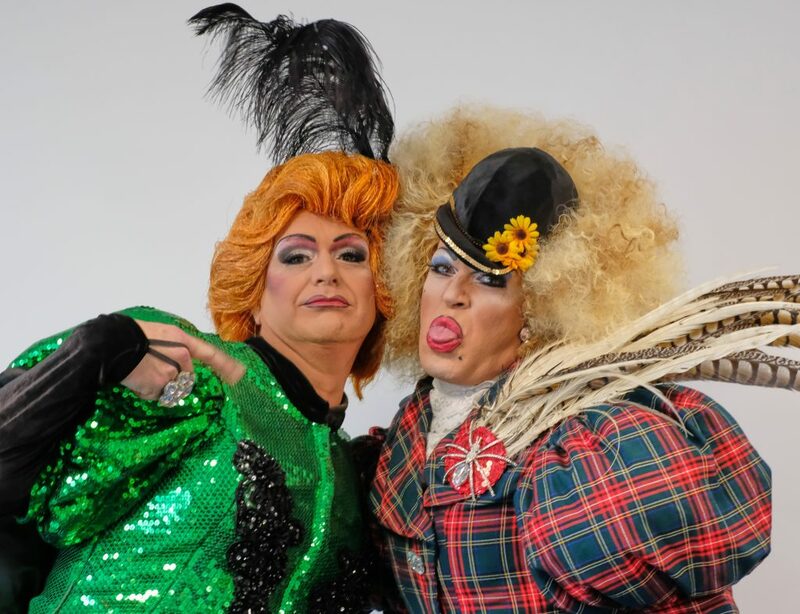 DAZZLING DAME DUO BRING FESTIVE FUN! 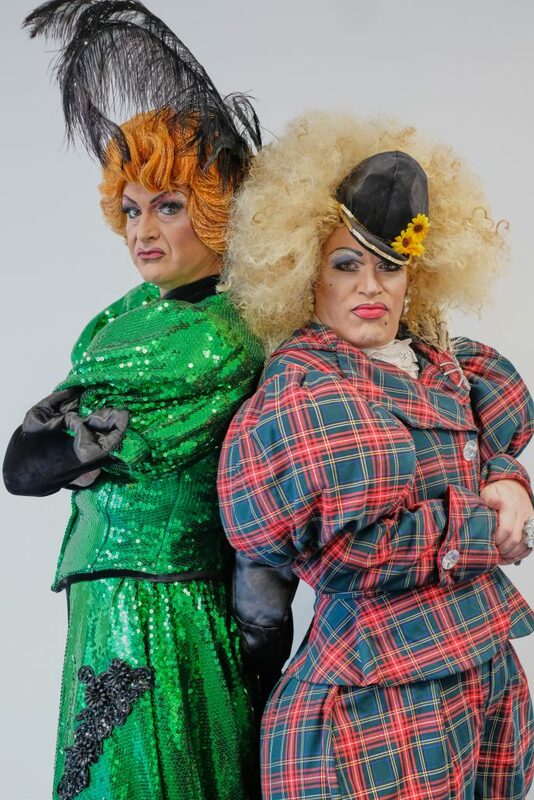 It’s dame double trouble for Cinderella in this year’s magical family pantomime as her Ugly Sisters Jamie Morris and Tarot Joseph bring handbags full of cheeky charm, witty wisecracks and wonderfully wacky costumes to Blackpool’s Grand Theatre from Tuesday 5 December to Sunday 7 January. 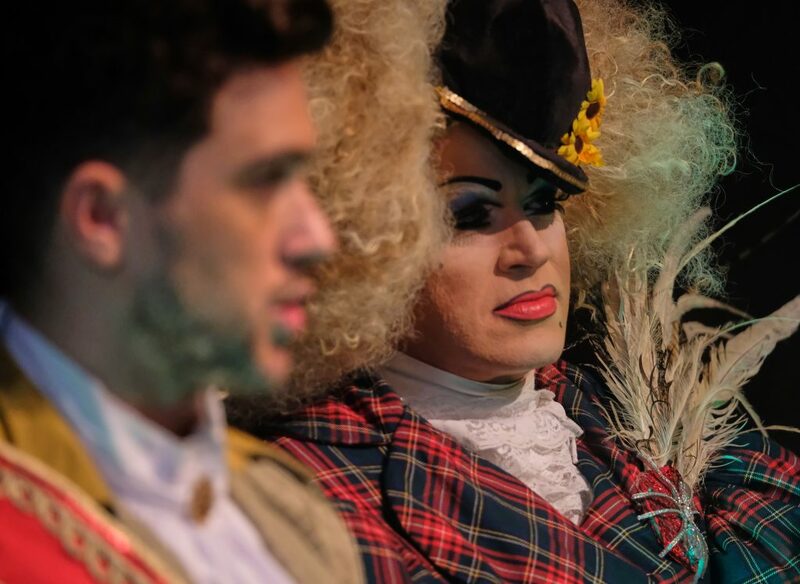 These busy boys also DJ locally and run their own production company which sends cabaret shows abroad and also creates and maintains all the wigs for UK Productions’ numerous shows and pantomimes. Phew! 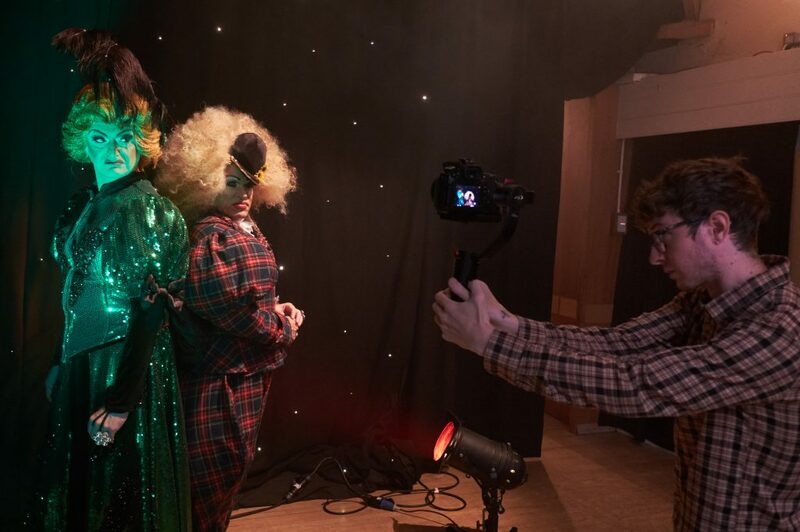 But pantomime is still their first love and they love wowing panto audiences with their array of ever more fabulous frocks. So what eye-popping outfits are these incredibly glamorous Uglies planning for this festive season? “We have quite a few new ones this year as our friends have seen them all before and we always want to bring something fresh and fun,” says Jamie. “We loved the Hollywood film of Cinderella a few years ago and the costumes in that were amazing so we took lots of inspiration from that. We also try to keep it as topical as possible of course, but everyone will have to wait until the finale for the big wow factor!” “And we must thank Maxine’s Feathers of Blackpool for all the big head dresses. They are just the most beautiful feathers I have ever seen,” adds Taz. Dynamic double act Jamie Morris & Tarot Joseph will be bringing their case full of colourful costumes to join Union J singer and reality TV star JJ Hamblett (The X Factor); BBC Radio Lancashire presenter and Grand panto legend Steve Royle; renowned Welsh actor Melanie Walters (Gavin & Stacey) and popular children’s TV presenter Olivia Birchenough (Milkshake! 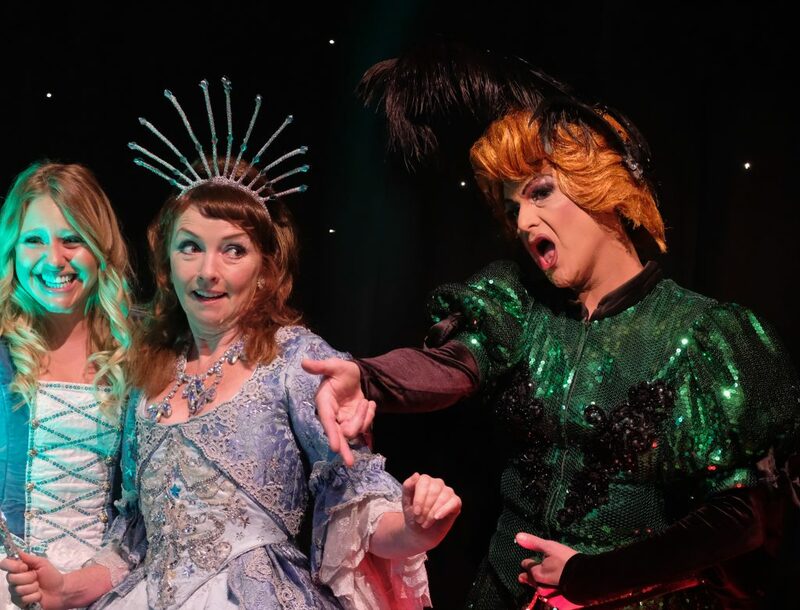 ), alongside the Barbara Jackson Theatre Arts Centre dancers and the adorable Shetland Ponies in Cinderella’s charming tale of magic, mayhem and misunderstandings, live on the Grand Theatre’s famous stage. 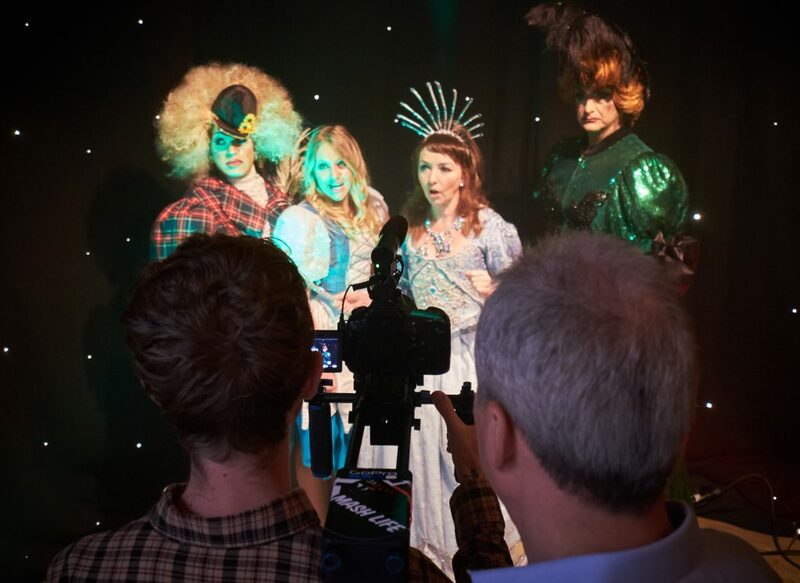 It’s a fabulous, fairytale treat for all the family this festive season! Take a dazzling carriage ride to Blackpool’s beautiful Grand Theatre this Christmas and enjoy one of the most enchanting rags-to-riches fairy stories of them all. Cinderella is a timeless tale of romance, scheming step-sisters, spectacular spells and a gleaming lost glass slipper – all sprinkled with plenty of seasonal sparkle. 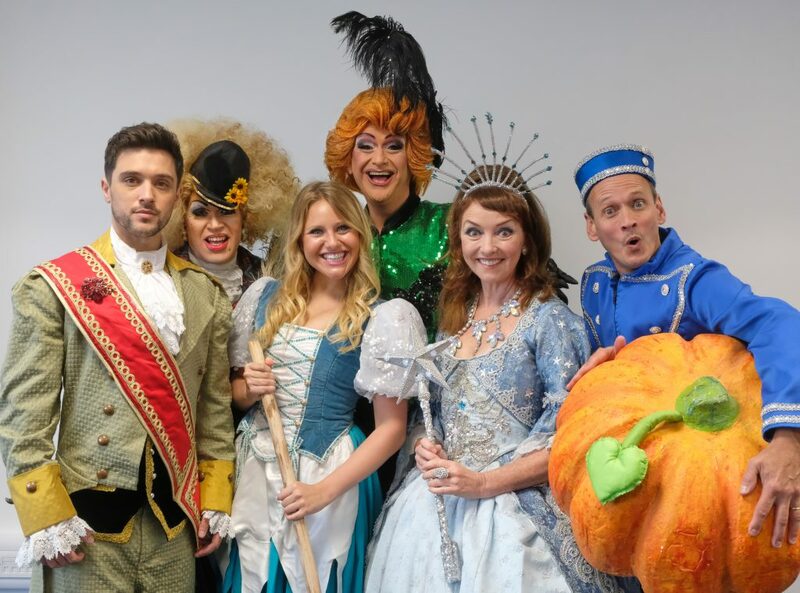 This fun-packed pantomime features hit songs, spectacular sets, hilarious dance routines and sumptuous costumes – including the unmissable moment when Cinderella swaps her dowdy rags for her stunning ball gown and is transported to the Prince’s Ball. But – don‘t forget, she needs to be home by the stroke of midnight or her true identity will be revealed! Oh yes it will! Cinderella is presented by Martin Dodd for UK Productions whom have been presenting the Christmas pantomime at Blackpool’s Grand Theatre since 2003. Other productions presented at The Grand by UK Productions include; Legally Blonde the Musical, Beauty and the Beast, The Kite Runner, 42nd Street, South Pacific, Carousel, Fiddler on the Roof, Oklahoma!, Seven Brides for Seven Brothers and Anything Goes. 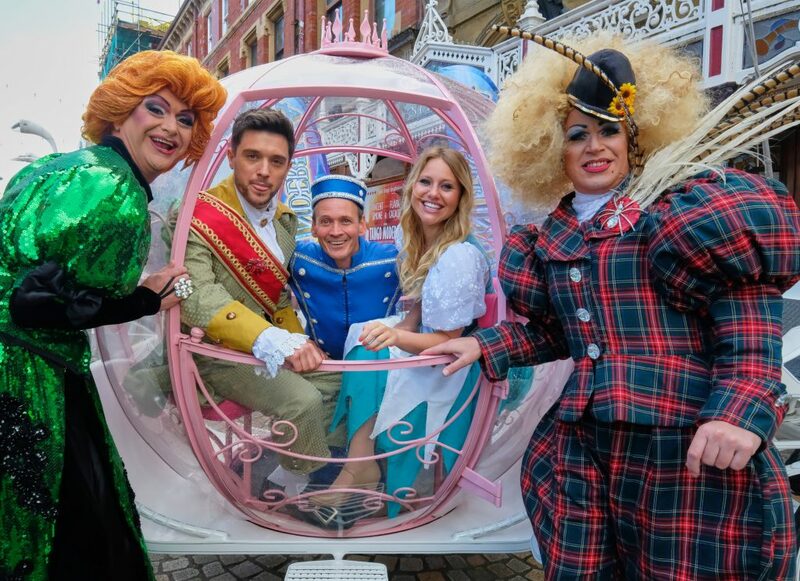 Cinderella plays at Blackpool Grand Theatre from Tuesday 5 December 2017 to Sunday 7 January 2018 starring comedy duo Jamie Morris &Tarot Joseph as the hilarious Ugly Sisters; Union J’s JJ Hamblett (The X Factor) as the dashing Prince Charming; BBC Radio Lancashire presenter and madcap comic Steve Royle as Buttons; celebrated stage and TV star Melanie Walters (Gavin & Stacey) as Fairy Godmother and popular children’s presenter Olivia Birchenough (Milkshake!) as Cinderella.